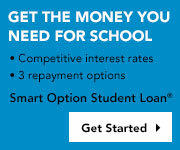 On this page, the credit union lists new items of interest. The latestest Newsletters and other new information! Click here! This year's Annual Business/Dinner Meeting is scheduled for May 28th, a Tuesday. Look for more info in your credit union statements you received in April. At that point, the phone prompts are mostly the same ones you are used to hearing. Mobile Money / TouchBanking app now has Mobile Deposit available! You will need to have a KEMBA Louisville Credit Union checking account, Online Banking access and the Mobile Money / TouchBanking app. Before you can use it, please read the Rules and Agreement before completing and returning the Enrollment form. Return the Enrollment form page. Do not return all of the pages. For additional help on Best Practices, Click here to view the Tips on using it when it is available. This will help insure your pictures of checks will not delay processing. Has some new features! Check out the Thumb Print ID, the Instant Balance and NOW - Mobile Deposit. Mobile Deposit uses the camera on your smartphone. or Click HERE to view a simple setup guide. before you go to the setup screen. Please make note that the App Activation Code is on the same page as the App Store graphics/links. IMPORTANT! - Members with checking must 'Opt In' to continue with Courtesy Pay. If you have a checking (sharedraft) account, click on the title below to view a notice about the change to how your account will be handled because of Federally mandated changes. Plan to come next year. reserve your place at the dinner tables. annual meeting and the election of board members. Commit now to plan to attend each year. Thank you for reading the above paragraph. 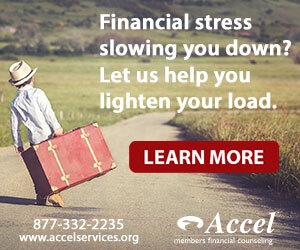 Why go anywhere else for credit counseling? With the Route 66 Extended Warranty’s Open Enrollment you don’t have to purchase your warranty at the time of purchase, but at any time during the life of the vehicle. Regardless if your vehicle is still under a manufacturer’s warranty, Route 66 Extended Warranty has a plan that will fit your vehicle. DON’T GET STUCK WITH OUT COVERAGE! In conclusion, you can purchase this without a car loan! Please tell them that YOUR credit union sent you!! !